With profound sadness we announce that Sam Alex Moore, age 80, passed away peacefully at home on March 19, 2019 due to congestive heart failure. Sam was born on March 5, 1939 in Rice Lake, WI to Bernice & Alex Moore. Sam was an only child, raised in Cable, WI and grew up hunting, fishing and spending his time in the woods. This love for the outdoors led him to his 29 year career as a Wildlife Biologist for the Wisconsin Department of Natural Resources. He obtained his Bachelor’s of Science degree from Northland College in Ashland, WI and his Master’s degree from UW-Stevens Point. He was recognized by the DNR as the Wildlife Manager of the Year and received a special DNR service award for his Elk Management program. He was also a decorated Vietnam veteran and Green Beret, serving in the Army from 1962 – 1966 in the 400th ASA SOD 1st Special Forces group. Sam was part of the Army Foreign Language Program and was selected for the Airborne Class at Fort Bragg where he completed Jump School. He served on active duty in Vietnam from 1964-1966 and earned several service badges and medals including his Republic of Vietnam Jump Wings, Special Forces Tab and the National Defense Medal. 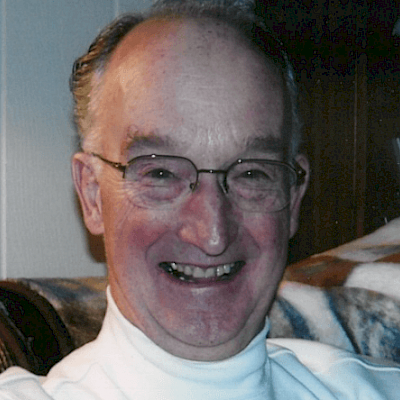 He was passionate about many things – most to do with the outdoors, but also any kind of sports (especially those his children & grandchildren played) and was very active in his church and the community. He dedicated his life to public service from serving in the military, to teaching to his distinguished career with the State of Wisconsin. Sam had a great sense of humor and loved telling a good joke or a humorous story and always had a smile on his face. He never got tired of telling the same funny stories about his kids & grandkids, his parents, his dog, the Cable community, life at the DNR, his time in the military or hunting and fishing. He had endless words of wisdom, hunting and fishing advice and is known for some of his favorite quotes. He was the loving father of James Moore (Tania), St. Michael, MN and Tammy Hogan (Bob), Elk River, MN and grandfather to Alexandria, Elias, Jacob, Erin, Gabriel, Lucy, Connor, Riley and Ethan. Sam was also the devoted fiancé to Peg Bjork with whom he had a long, loving relationship. He was a great friend to many people across northern Wisconsin in several communities including Cable, Hayward and Park Falls and will be missed by many. A memorial service celebrating Sam’s life will be held at 3:00 p.m. on Sunday, March 24th, at the Hayward Wesleyan Church with Pastor Chad McCallum officiating. A time of gathering with family and friends will be held from 2:00 to 3:00 p.m. on Sunday at the Church. Military honors will be accorded by the State of Wisconsin Military Funeral Honors Program and the Cable American Legion Post 487. In lieu of flowers memorials may be directed to Regional Hospice, 15910 W Company Lake Road, Hayward, WI 54843. Online condolences may be left at www.bratley-nelson.com.